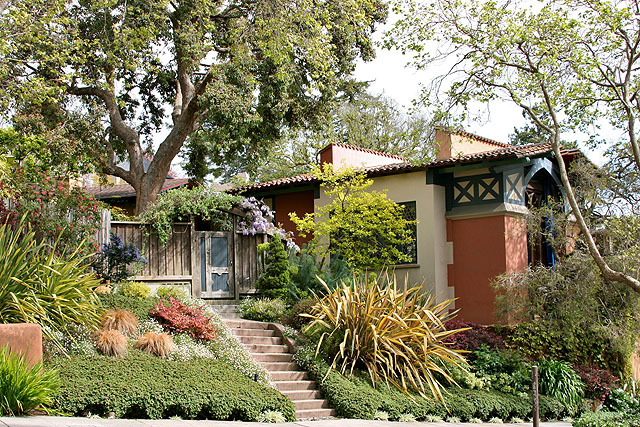 The Maybeck Studio for the Performing Arts is part of Bernard Maybeck’s 1914 Kennedy-Nixon house. Joseph R. Nixon commissioned the building as a live-in studio for his daughter Milda’s piano teacher, Alma Schmidt Kennedy. The studio (and the Nixons’ wood shingle home next door) burned to the ground in the 1923 Berkeley hills fire. When Maybeck rebuilt the studio, he added the uphill home on Buena Vista, connected to the studio by a bridge, where Milda Nixon lived into her nineties. Performances have been held in this beautiful and acoustically glorious space for over 100 years.